Now, if you are planning to buy your own house and lot, you will need to know about mortgages and what goes around in the mortgaging world. Whether the topic is new to you or if you already have an encounter with mortgages before, it is still important that you learn more about it, especially the basic parts. And one thing that you can start learning about is a mortgage statement. Read on to know more and find mortgage statement samples that you can download. A mortgage statement is a document that states or declares the important transactions that are related to a mortgage loan and everything that is happening in it. 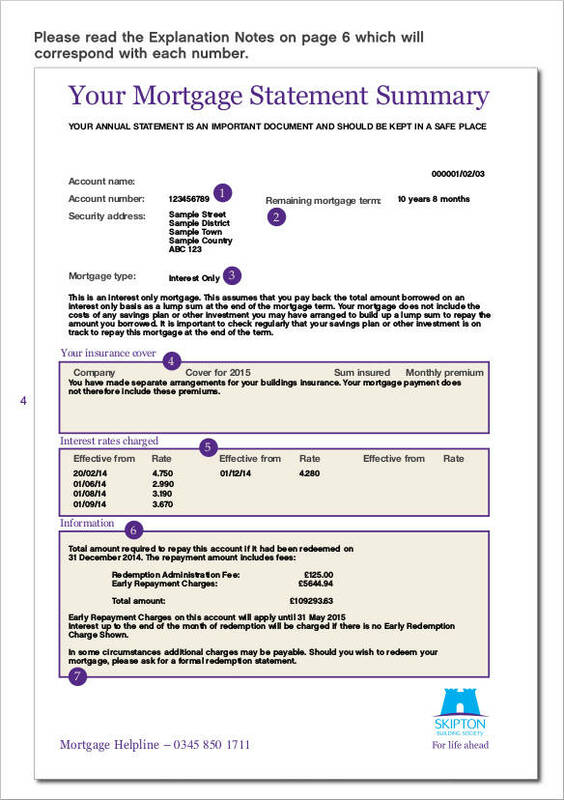 The mortgage holder produces or prepares this document and provides it to the mortgage borrower. Similar to a billing statement, mortgage statements are provided to the mortgage borrower to serve as their reminders or notification for the upcoming payment and at the same time serve as proof that their previous payments were credited according to their remaining balance. The document can also be provided to the mortgage borrower upon request for whatever purpose they may use them. The history of the mortgage borrower’s previous payments can also be seen in the statement. 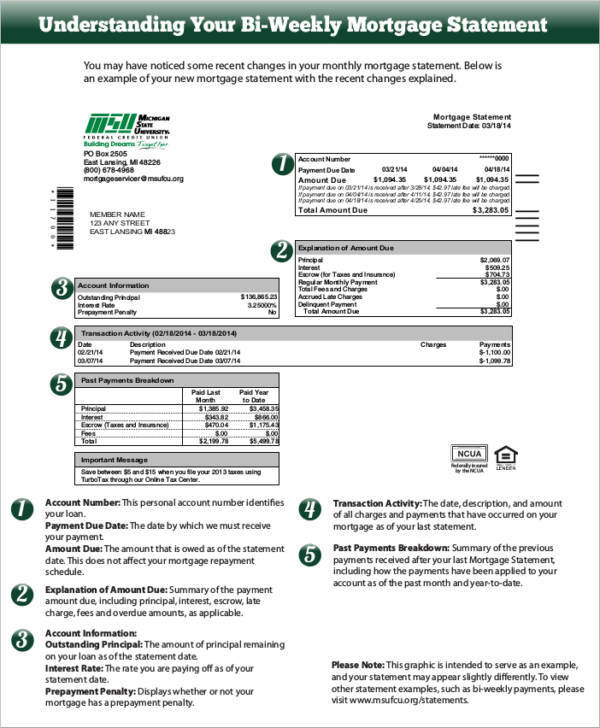 Other information that can be found in a mortgage statement is the current remaining balance of the mortgage, the number of remaining months or years in the mortgage contract and mortgage amortization, the current interest rate of the mortgage, the mortgage payment frequency, and other details concerning the mortgage borrower and the mortgage holder. 1. 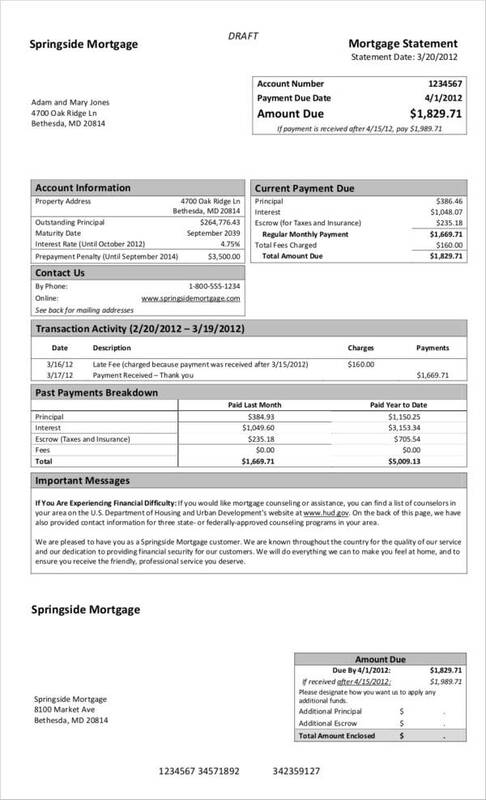 A mortgage statement is used for documentation purposes. 2. 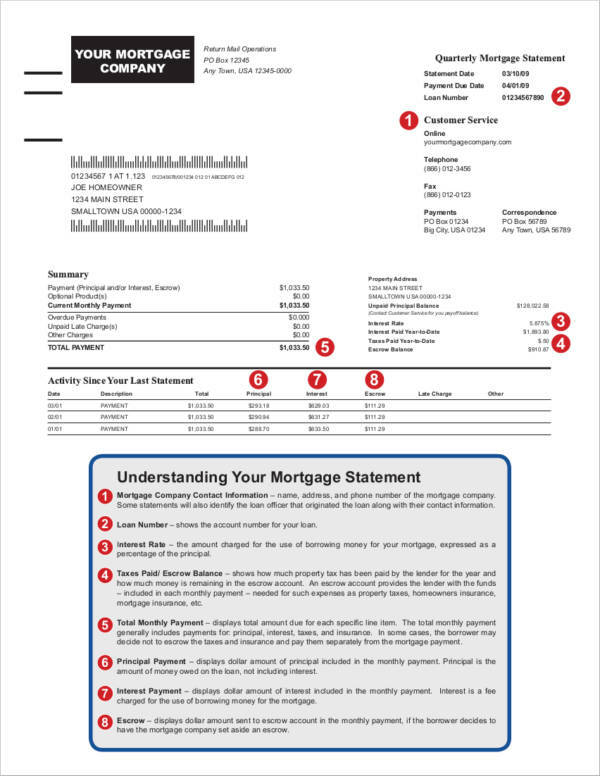 A mortgage statement is used to notify of an upcoming payment. 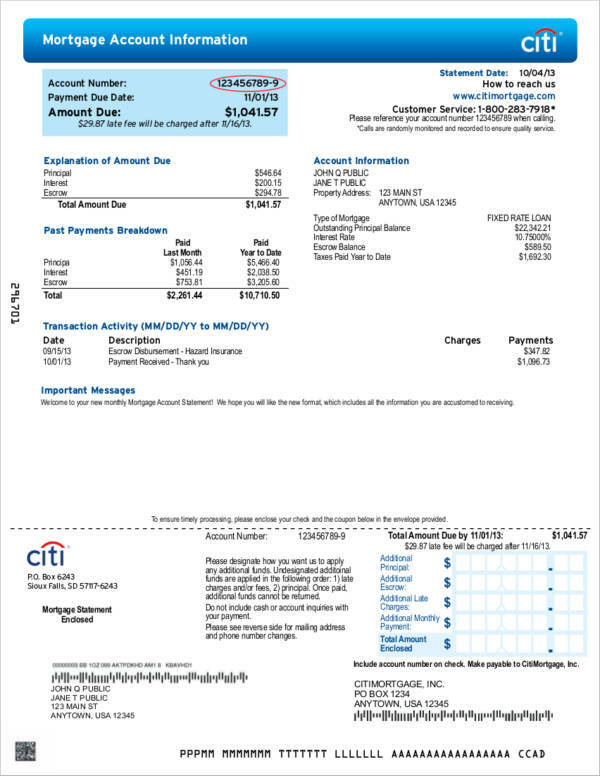 Bank statements and billing statements from other services are sent to the customers before the payment is due to remind their customers of the upcoming payment. This is also the case with mortgage statements. The primary goal of having it sent to the mortgage borrower is to ensure that the mortgage is paid on time. 3. A mortgage statement is used to show the history or record of previous transactions. It is easy to keep track of your payments or any transactions related to the mortgage with the use of a mortgage statement. The general statement has all the details included in it such as the remaining balance, when the next payment is due, and the dates when the previous payments were made. 4. A mortgage statement provides details about both the mortgage holder and mortgage borrower. Every mortgage statement includes the name, address, and contact information of both the mortgage borrower and mortgage holder. This is to be able to determine to whom the borrower owes money and to whom the holder needs to collect payment. 5. A mortgage statement is used as a legal document or as an attachment to a legal contract to prove that the transaction is valid. 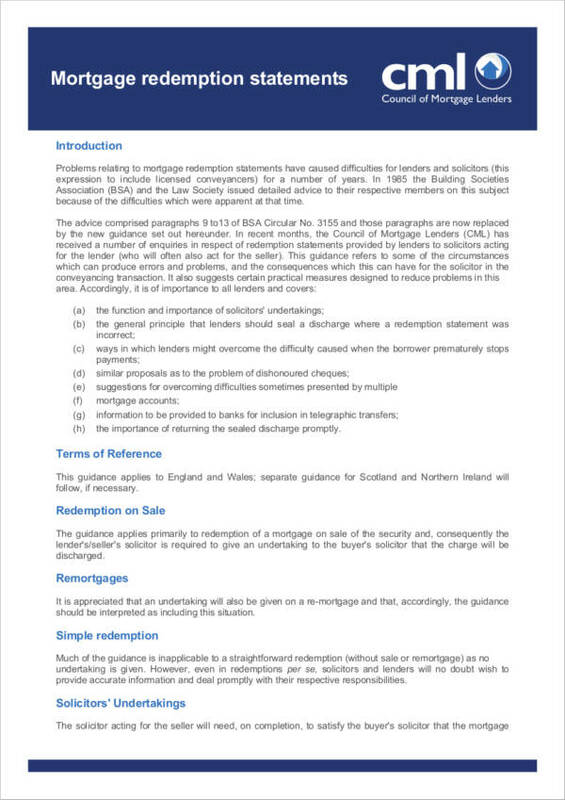 This document is useful if for instance a property being mortgaged gets into serious legal trouble. The mortgage borrower and mortgage holder may use the mortgage statement as evidence in court. 6. 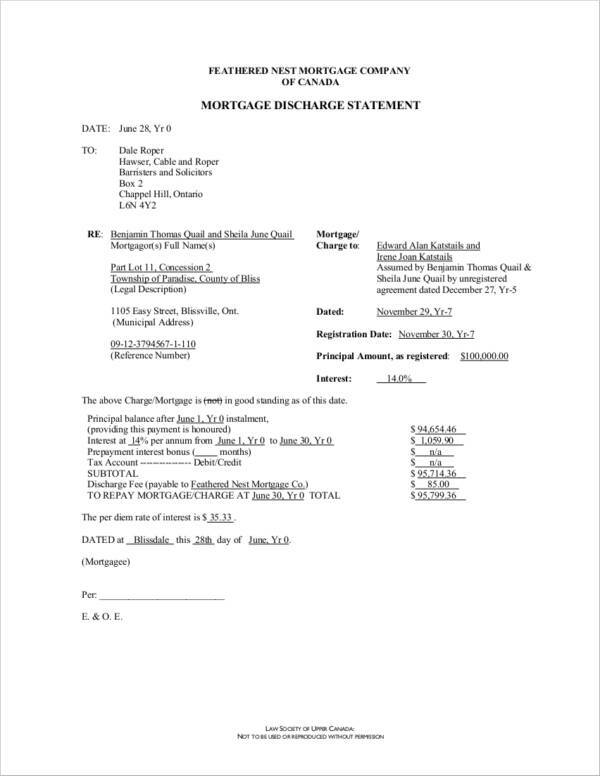 A mortgage statement is used as a disclosure document. 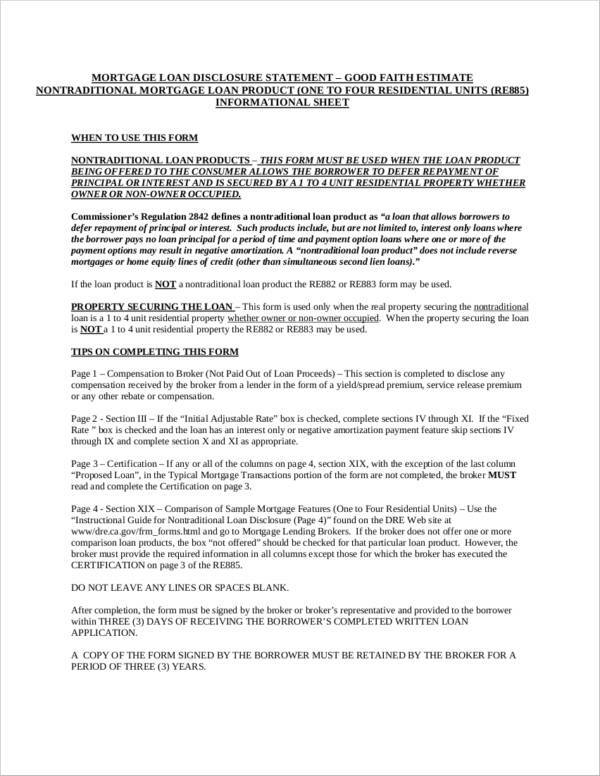 The current mortgage balance and other important particulars are being disclosed in a mortgage statement allowing the borrower to check for any discrepancies in the balance or the payments made and notify the mortgage holder about it. They then have it recomputed with the help of mortgage calculators. 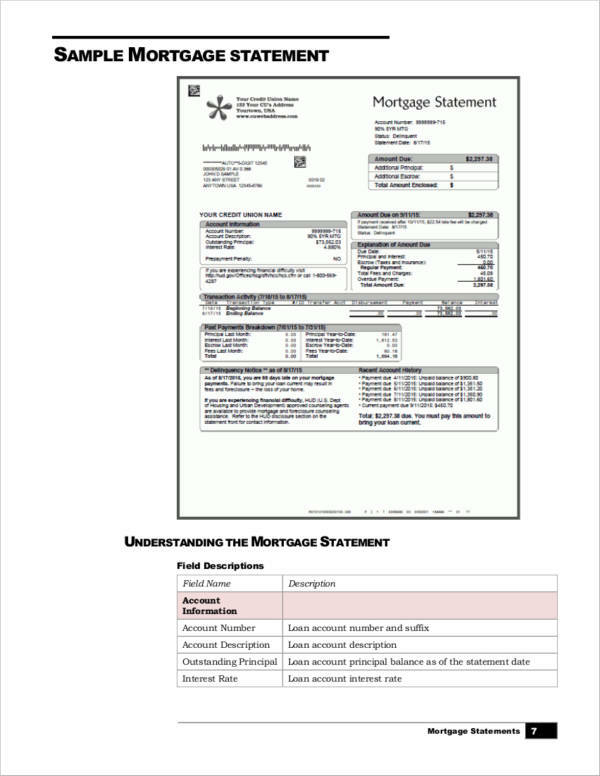 Errors are also detected with the use of a mortgage statement. 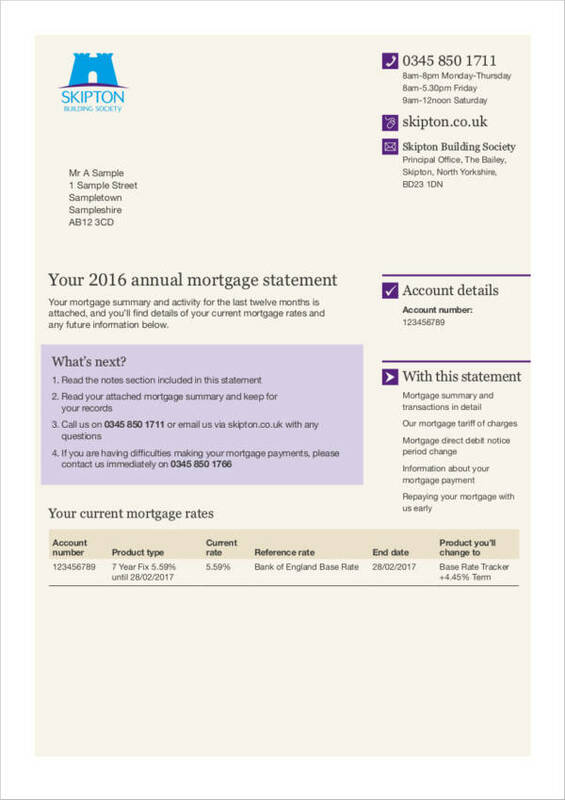 What Information Is in a Mortgage Statement? It refers to the name, current address, and active contact details of the mortgage borrower, including the properties that they have in collateral. These dates include all of the dates when any changes were made in the mortgage, like payments, change in interest rates, and forwarding of balance. This is the amount that the borrower still needs to pay. This is the date when the borrower needs to make the next payment. Refers to the exact date when the mortgage will be fully paid or when the mortgage contract will end. The amount being loaned without the interest. Regarding the mortgage that is intended for both the mortgage borrower and mortgage holder are also included in the mortgage statement. If you are looking for other kinds of statements, go ahead and browse through our website. We have free statement samples available such as cash flow statement, personal financial statement, and sworn statement.